No, I'm not about to tell you a silly joke. I stole today's blog title from the opening anecdote of the Memorial Weekend sermon at my church, Ada Bible. It was called "Your God Response." Here's a recap: Guest speaker Marcus Bieschke shared about the musicality and beauty of Psalm 19, one of my favorite Psalms ever. According to C.S. Lewis, it's "the greatest poem in the Psalter and one of the greatest lyrics in the world." Bieschke is lead teaching pastor at the Crystal Lake campus of Willow Creek Church in Illinois. He is a music lover, just like me, and asked us in the sermon's opening minutes to turn to our neighbor and tell him or her our favorite song. I dislike that game because I have too many favorites, so it was awesome when he admitted he himself has about 83 favorite songs and can't narrow it down. 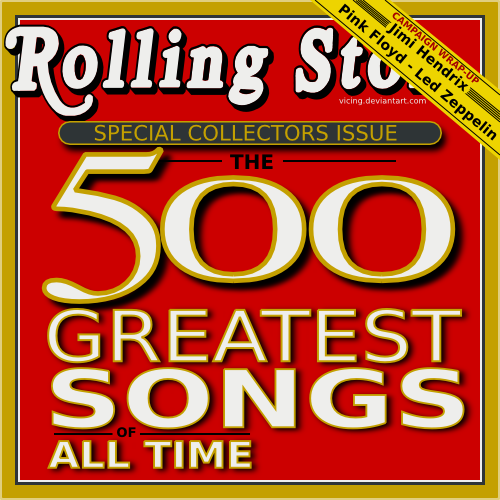 For his talk at Ada, Bieschke selected three of the Top 500 Songs of All Time, as compiled by Rolling Stone Magazine in 2011. And he held those songs, full of pain, despair and hopelessness, up to the light of Psalm 19, written by King David thousands of years ago. Here are the songs he chose to compare against Psalm 19. I'm embedding videos in case you haven't listened to the songs before. Bieschke said he imagines King David sitting down with each songwriter, one by one, and having a conversation about the merits and philosophies behind each work of musical genius. I love that. It reminds me of the deep heartbreak I felt when I attended the funeral of a dearly loved mentor three summers ago, and a colleague of his sang "Imagine." It frustrated me to hear that message at a funeral. The lyrics are wistful and beautiful, but they offer no hope to grieving hearts. Bieschke imagines King David answering the despair and hopelessness of Cobain's anthem, "Here we are now, entertain us // I feel stupid and contagious // Here we are now, entertain us," with a dose of the soul-reviving power of Scripture found in Psalm 19. Bieschke believes King David would emphasize the "special revelation" aspects of the Word of God in his chat with Cobain. The Word is perfect, trustworthy, right, radiant, pure, firm, righteous, precious and sweet, as listed in verses 7-11. And it has powerful effects on the human heart: refreshing, making wise, giving joy, giving light, offering great reward, etc. That doesn't sound hopeless to me! "I can't get no satisfaction," Mick Jagger wails, "I've tried, and I've tried, and I've tried, and I've TRIIIIIIIIIED!" Well, King David might ask Jagger, "What if life isn't about pleasing ourselves? What if we're here for a bigger purpose?" What if we woke up each morning to ask, "What can I do for YOU today, God?" I hope, having read this post, you'll "ponder anew what the Almighty can do," as the old hymn "Praise to the Lord, the Almighty" so boldly beseeches. Read more of my blog posts about music here and faith here. I thought so too. The sermon really moved me. Thanks for stopping by to comment!